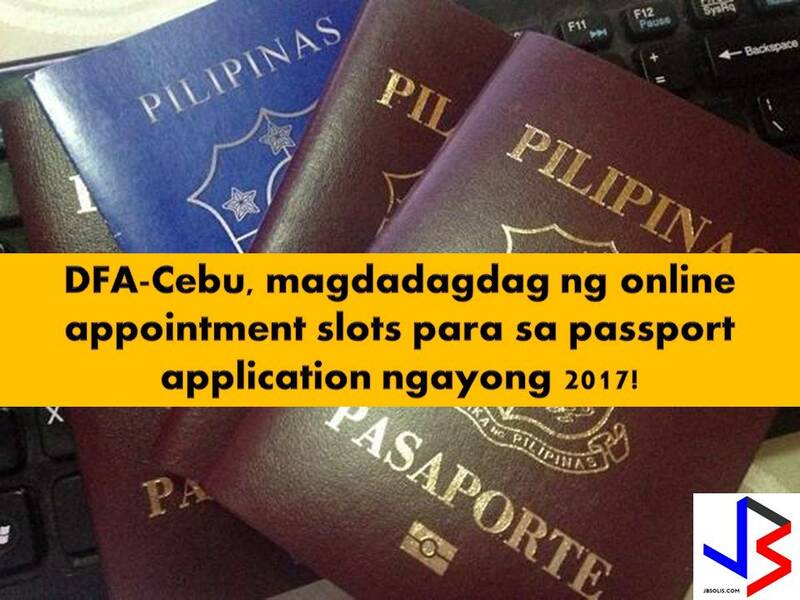 Department of Foreign Affairs (DFA) Cebu is pushing for a more online appointment for those who want to process passport application this 2017. This is after the DFA is considering to add more appointment slot in their office in Cebu. As of the moment, those who want to have a passport by the end of the year need to apply or get an appointment in adjoining areas like Dumaguete City in Negros Oriental or Bacolod City in Negros Occidental where there are fewer applicants. But if the plan will push through, Canque said, an additional 90 slots per day will be open at the DFA-Cebu in October and November. There are no additional slots yet for December. DFA-Cebu is catering up to 600 applicants per day for those who set their online appointment ahead. The number does not include those who are allowed in walk-in applicants such as senior citizen, solo parents, below seven years old, and OFWs. 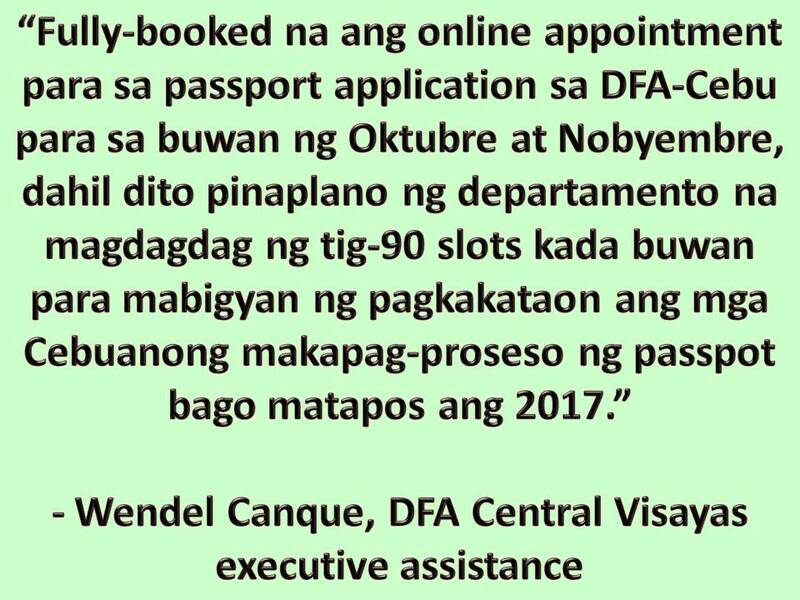 Last month, DFA cancels bulk appointments of travel agencies to give public more slots for an online appointment.